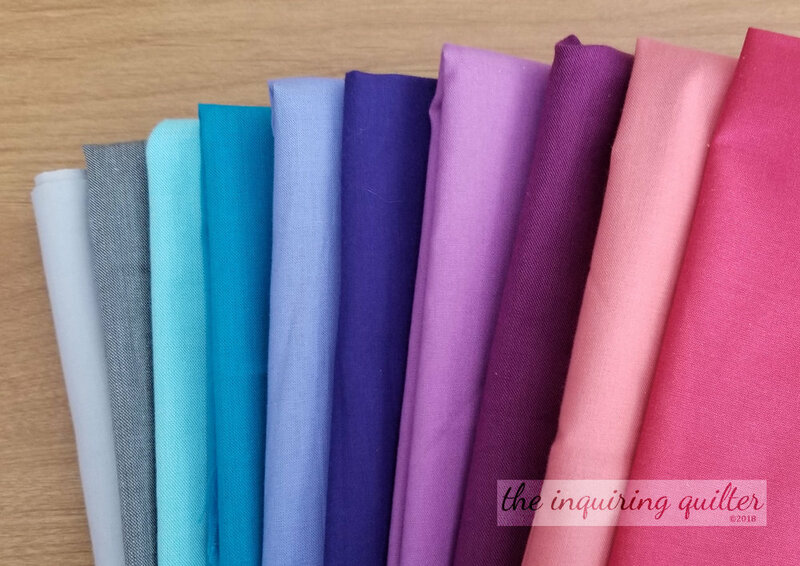 The Fall into a QAL just concluded and I thought I'd recap it a bit. First, thank you so much to everyone who participated! The other designers and I were overwhelmed by your creativity and perseverance. 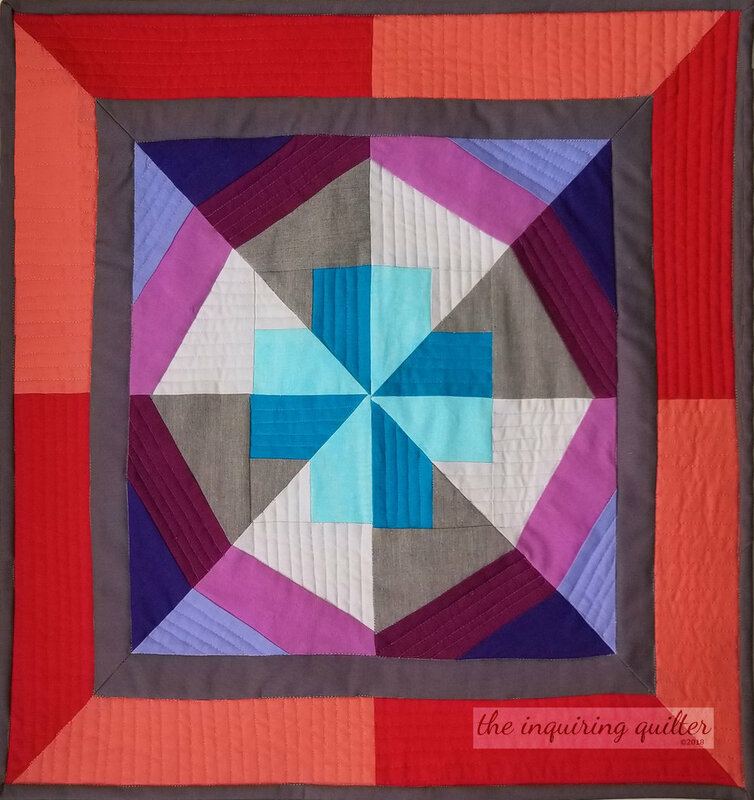 For many of you, the blocks required skills that you'd never used before but you didn’t let that stop you and in the end you created lovely quilts! Thanks also to my fellow designers. I love the way we work together and I can’t wait for our next quilt along! The final linkup closed Monday at midnight (specifically, November 12th @ 11:59 PM EST). I hope you were able to enter because our final giveaway was awesome! On the linky at the bottom of my settings suggestions post. Now, about my quilt. The last time you saw my quilt top, it looked like this. I had sewn the blocks together and added the borders, but I had plans to add lettering to that center panel. 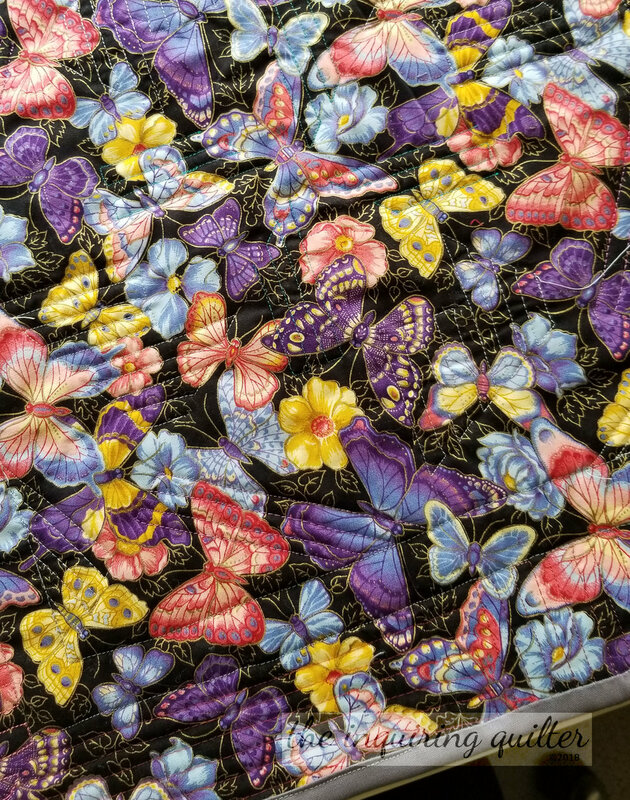 I had selected the fabric I wanted to use, and had a notion of adding something on either side of the lettering, but that was about it at that time. 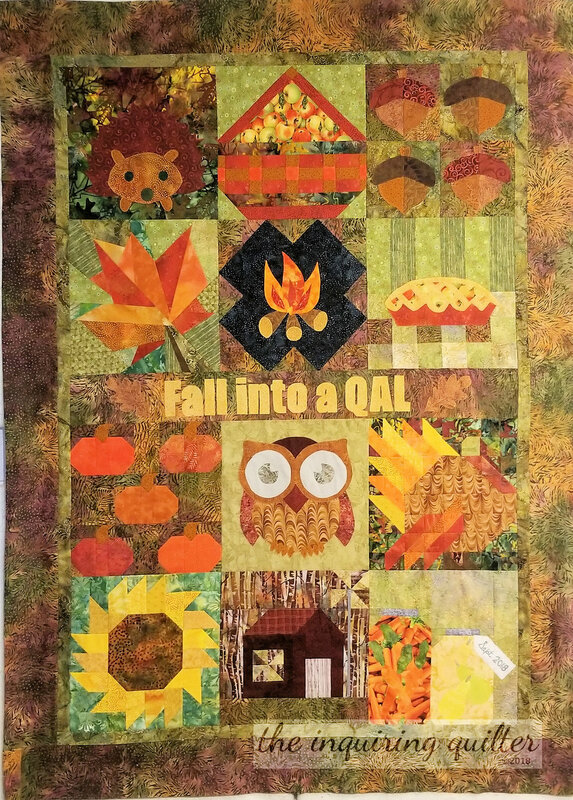 I used the same approach as last time, typing the phrase, Fall into a QAL into EQ, sizing it to fit my quilt design, and printing out the templates. I tested the letters on the quilt top first to make sure they were the right size, then I traced them onto fusible and fused the back of my gold lettering fabric. To keep things orderly as I arranged them on the quilt top I used this plastic tray. I used a ruler above and below to help me keep the letters aligned and spaced evenly. After fusing the letters, I edge-stitched them using a matching thread. Then I fused to leaves on either side of the letters. I used this wonderful glittery brown fabric. 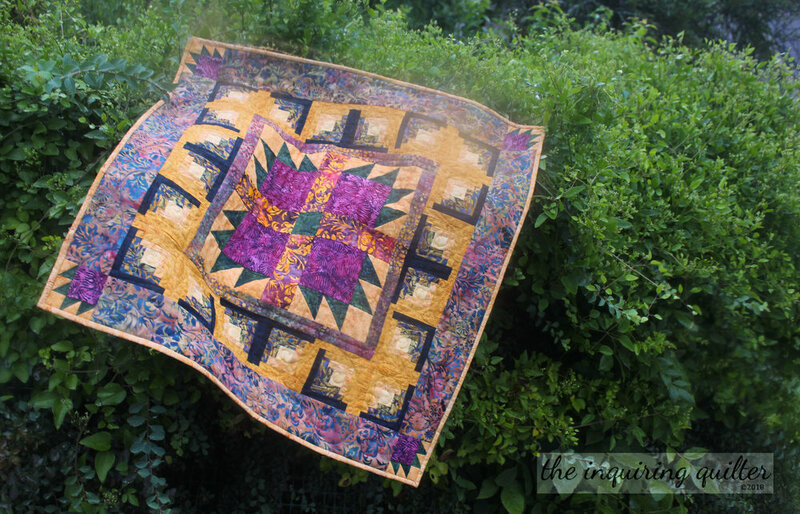 I didn’t want to use a bright fabric because I didn’t want the leaves to take center stage. I edged stitched the leaves after fusing them down. To edge stitch around the oak leaves, I used Sulky 40 wt. #1025 (Mine Gold) I love how this color really plays with the metallic threads in the leaf fabric. Here’s my final quilt top. I’m really pleased with how it came out! The winner of our grand prize is Merri Lynn Voss. Congratulations! 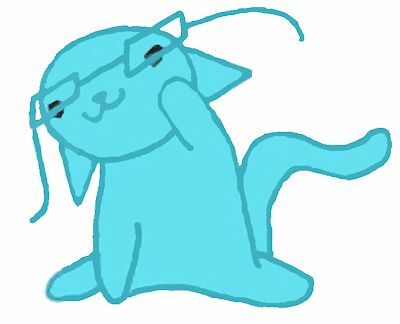 Look at what you’ve won! So when is the next quilt along? 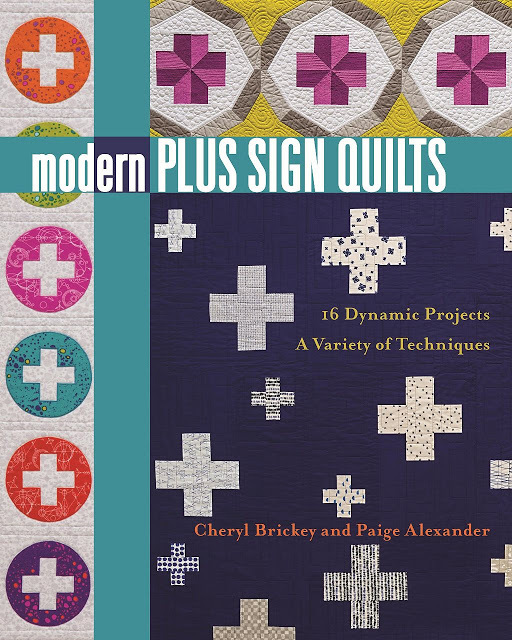 I’m afraid I can’t tell you much right now, except that me and my Partners in Design are moving right along, making decisions about the next quilt along. 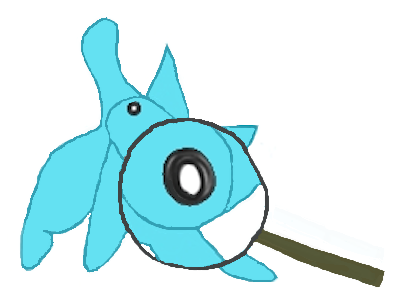 I can tell you that we’re changing things up a bit and that you’re really going to like the changes! Oh, and the theme we’ve chosen. <grin> Until the big announcement however, I can’t tell you any more other than hold onto your hats I’m so excited! Watch for the big announcement here and on social media. Be sure to follow me so you can keep up! You’ll find ways to follow me at the top of the sidebar. 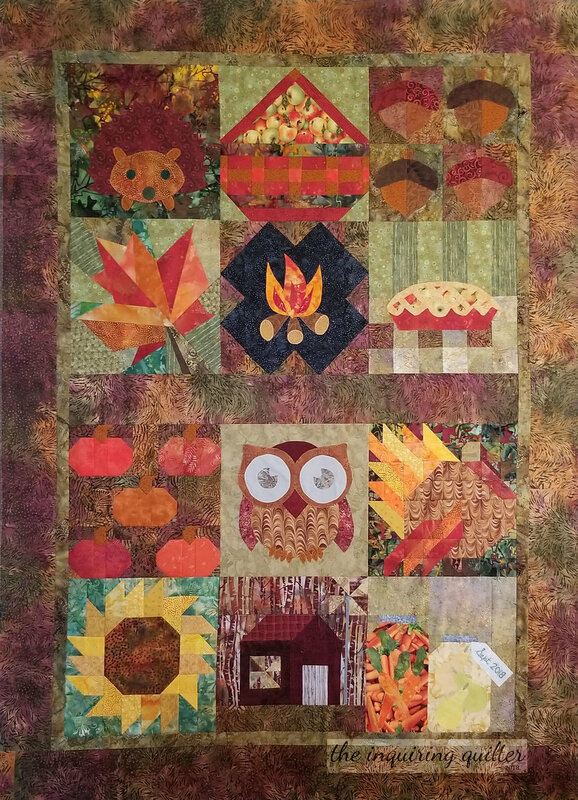 Announcing a Fall Quilt Along from Partners in Design! 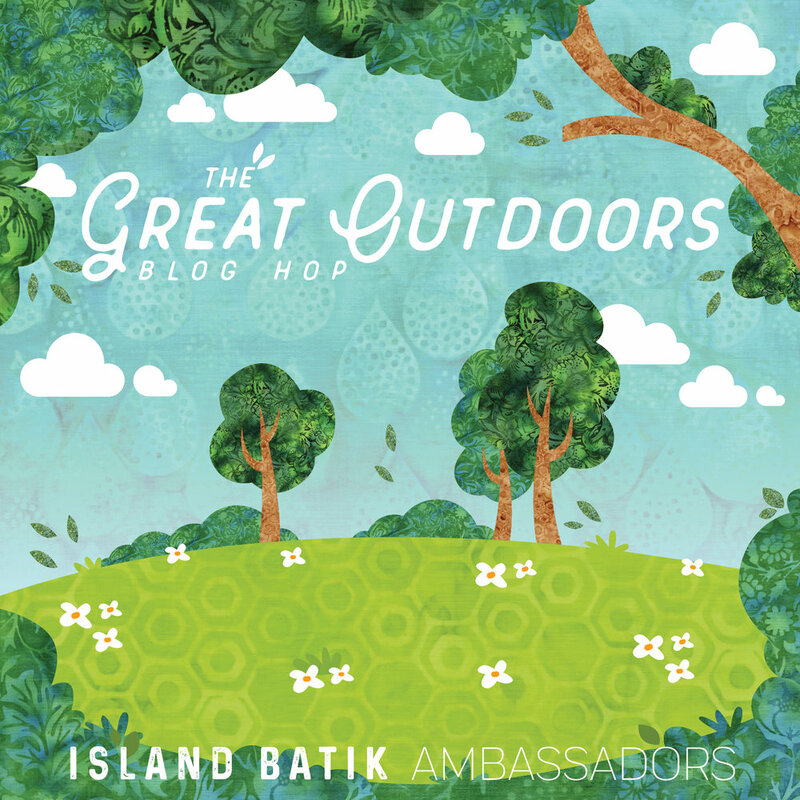 Island Batik Great Outdoors Blog Hop and Giveaway! Hi and welcome to the my day on the Island Batik Great Outdoors Blog Hop! 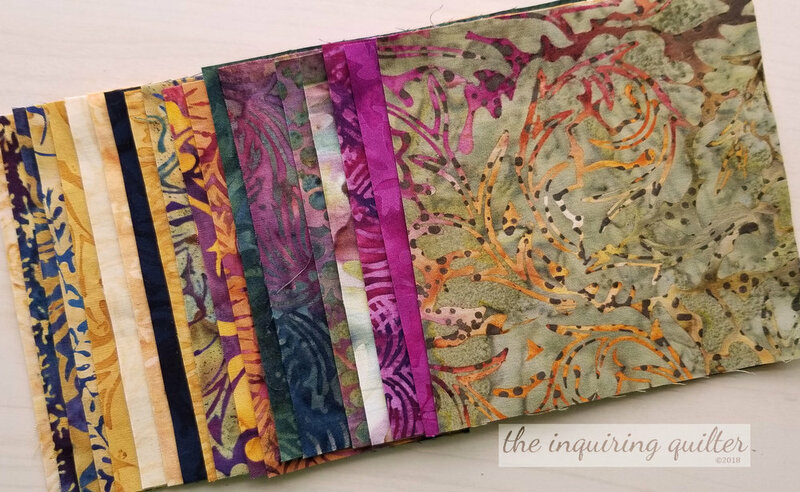 Today’s featured Island Batik collection is called Dear William, and I'm in love with it's warm golds, rich purples, and deep greens and blues! 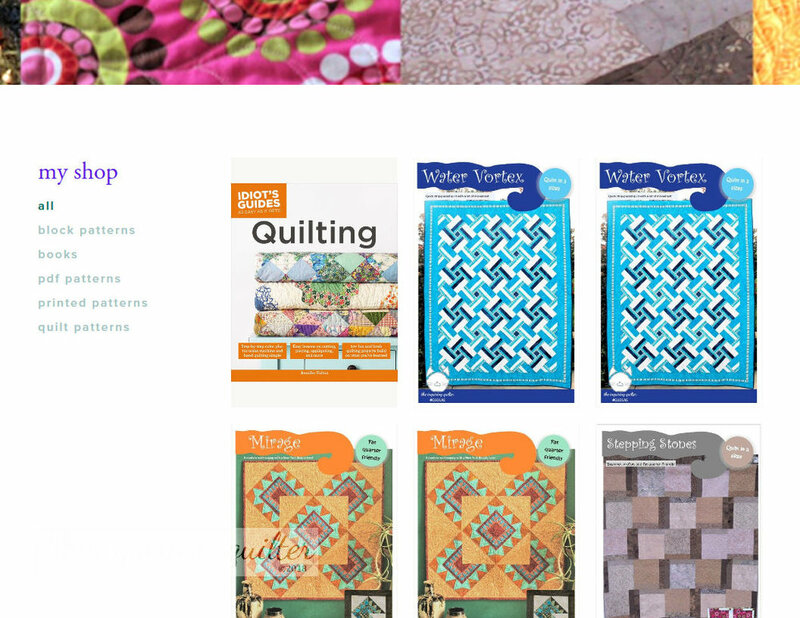 Dear William is part of the Spring collection, currently in quilt stores. With the theme "great outdoors" as my muse, I immediately thought of a cabin in the woods. That thought led to Log Cabin and Bear's Paw blocks and well, I soon had a design! I call my quilt Bear Cabin. I love how the colors play together. 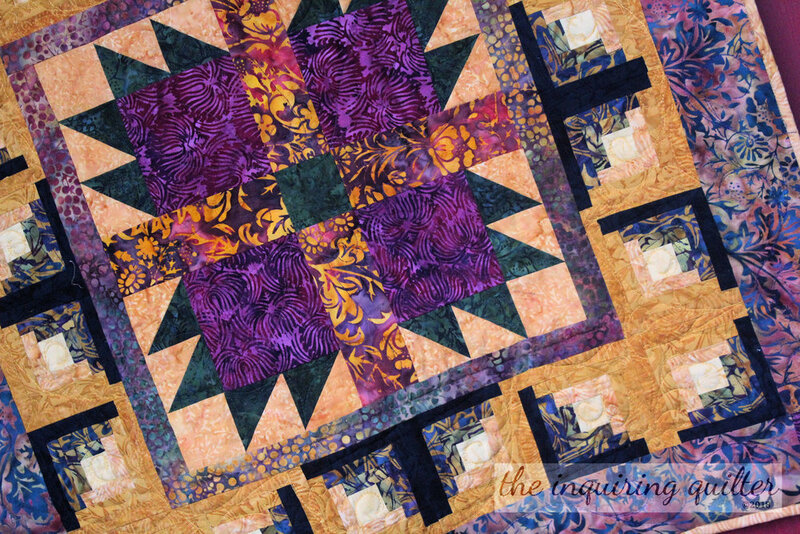 What really fascinates me is the almost floral look of this quilt, despite it's warm rich color palette. Forgive the photo below. I tried getting some outdoor shots in natural light, and it started raining. Just sprinkling, so I went ahead and took a few quick "glamor" shots. There's a drop of rain on the lens, and a bit of mud on the quilt top because it slid off and fell into a dirt/mud patch. Ugh. Oh well! It can be washed and I much prefer natural light when I can get it. And soon after getting these shots, the skies opened up and it started really pouring down. So I'm kinda feeling lucky. 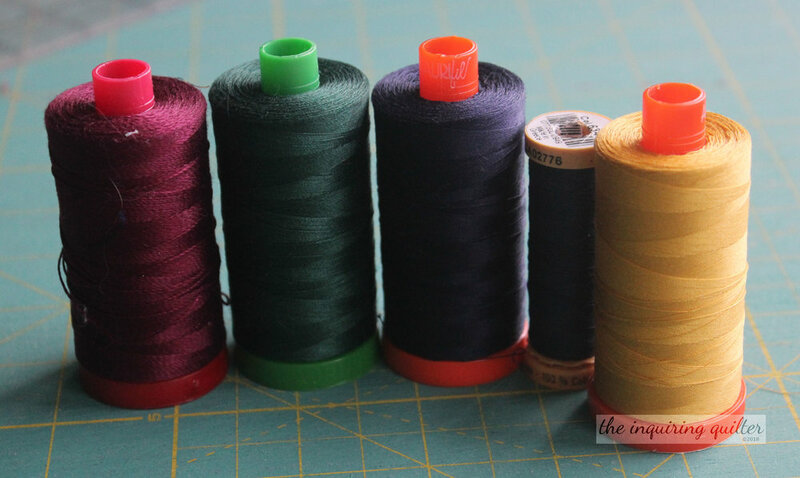 I chose these threads to quilt my quilt top. For quilting, I started with the Bear's Paw blocks. I made a simple loop in the center of the large square, with two half loops on either side. Then I did a half loop on each side of the "claw" part of the HSTs. 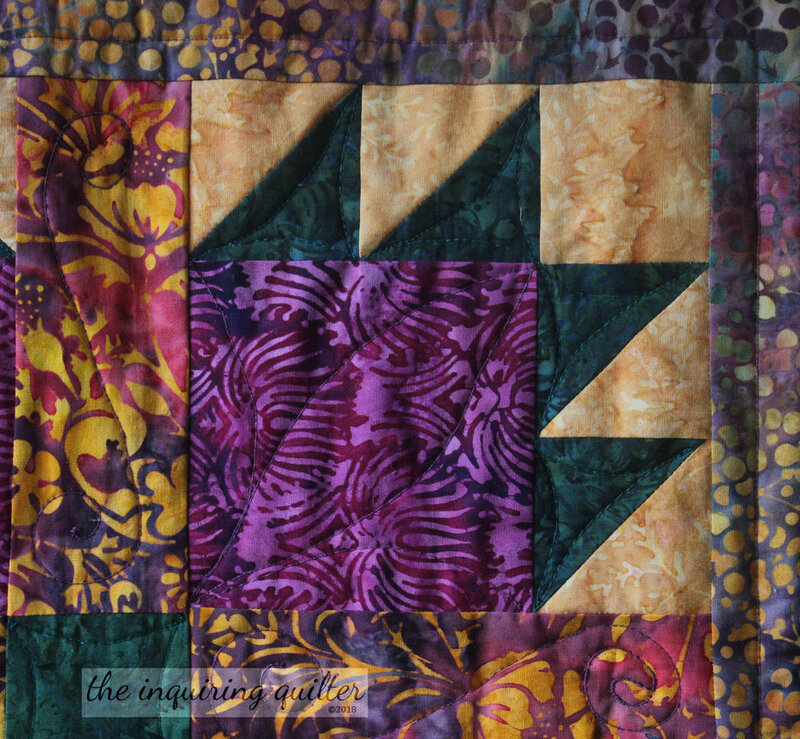 I quilted the sashing with a simple curvy line with swirls at both ends. 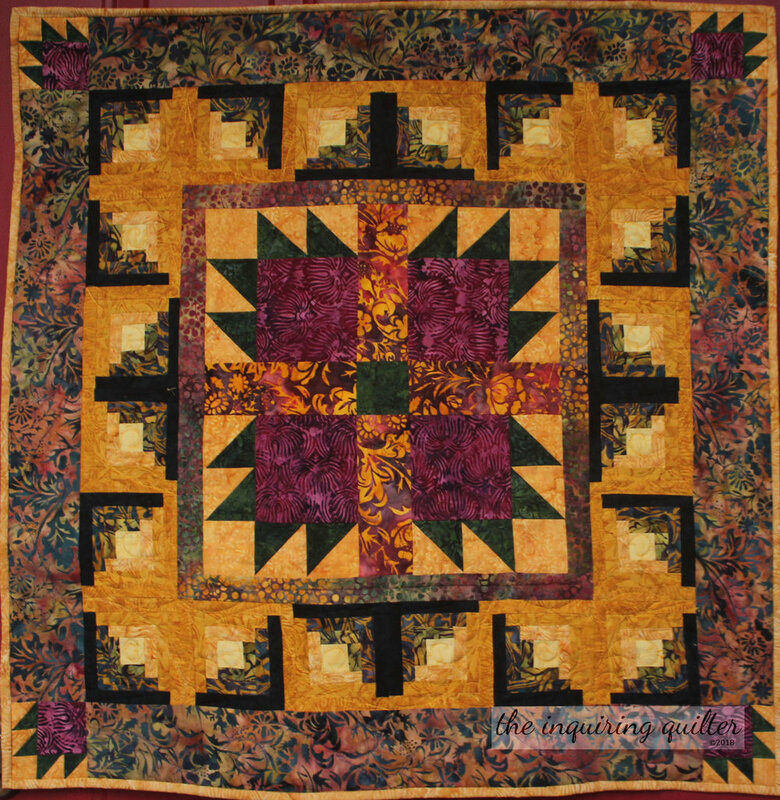 The green center square was quilted with half loops on each side. 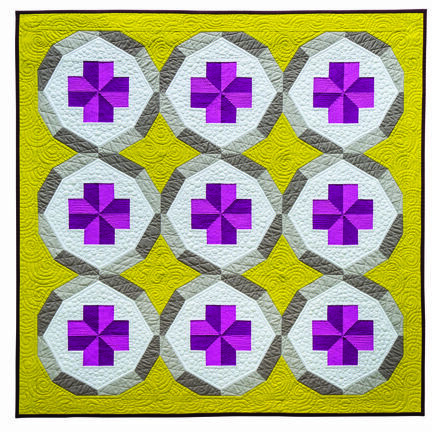 For the sashing between the blocks, I quilted a curvy line with curlicues at each end. 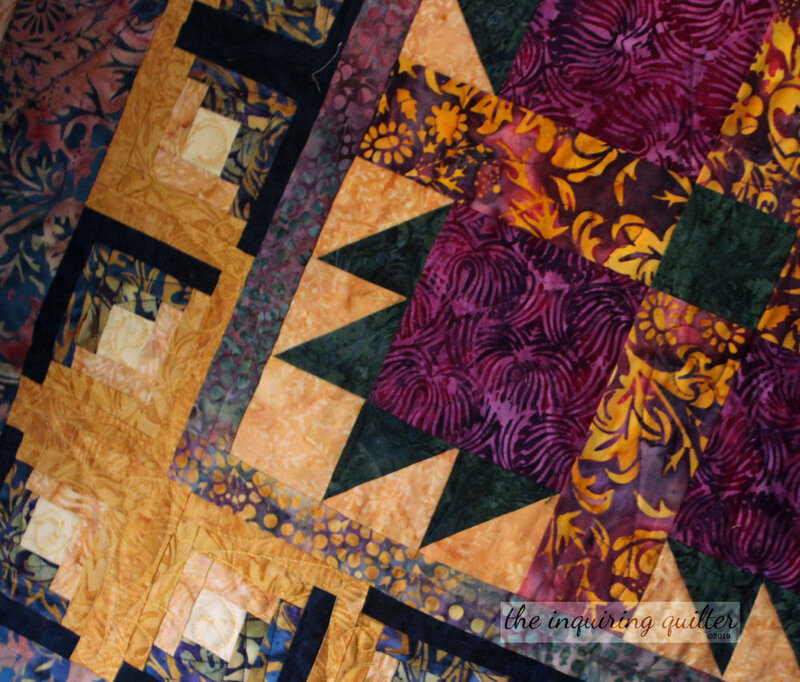 In the green square in the center of the quilt, I quilted curves along each edge. 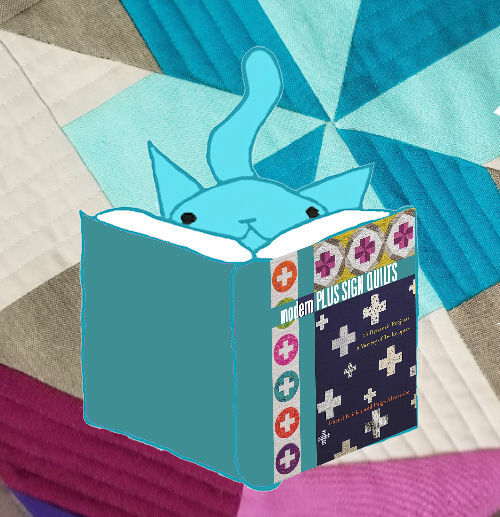 I repeated the quilting pattern used in the large Bear's Paw blocks for the mini Bear's Paw blocks in the corners of the quilt. 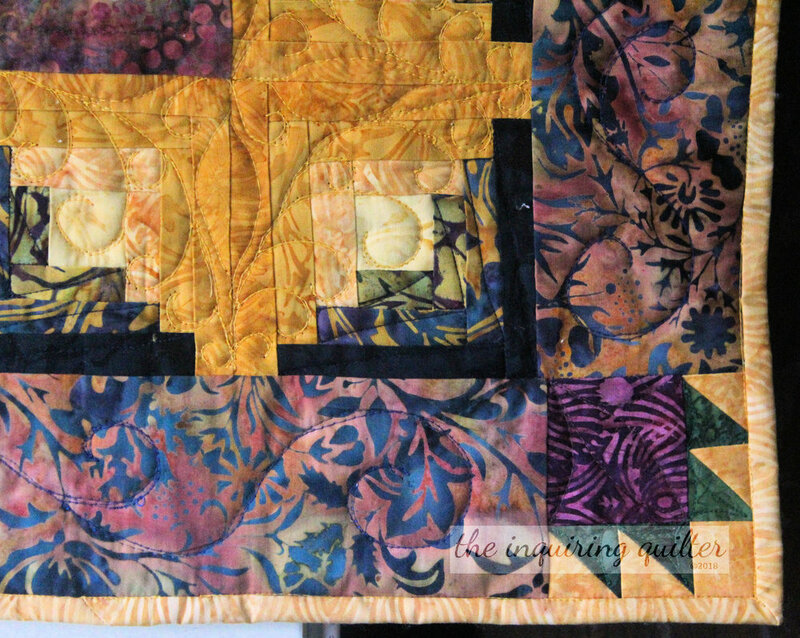 For the borders between these blocks, I quilted a long ribbon down the center of the border with random curls along it's length. I did something interesting for the Log Cabin blocks. 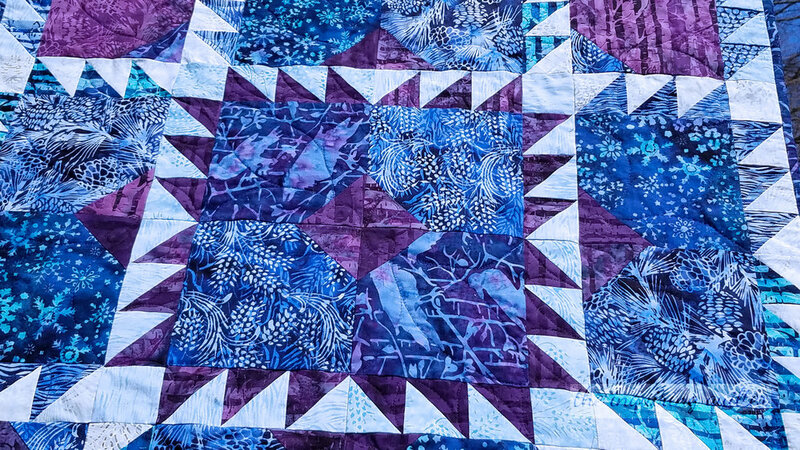 On the blue half, I quilted a series of angled lines from corner to corner of the logs. 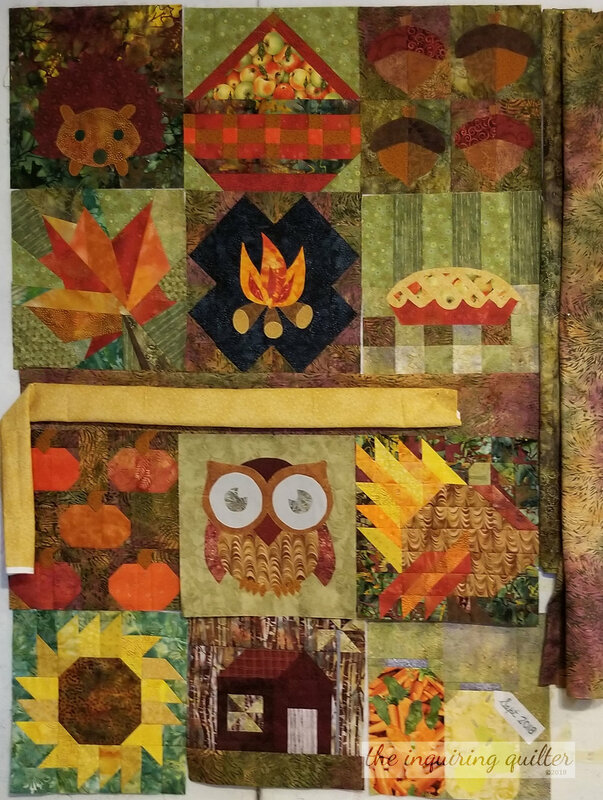 On the gold side, I quilted a curly version of "feathers". Please visit Bea, Sandra, and Geraldine who are also featuring the Dear William collection today. 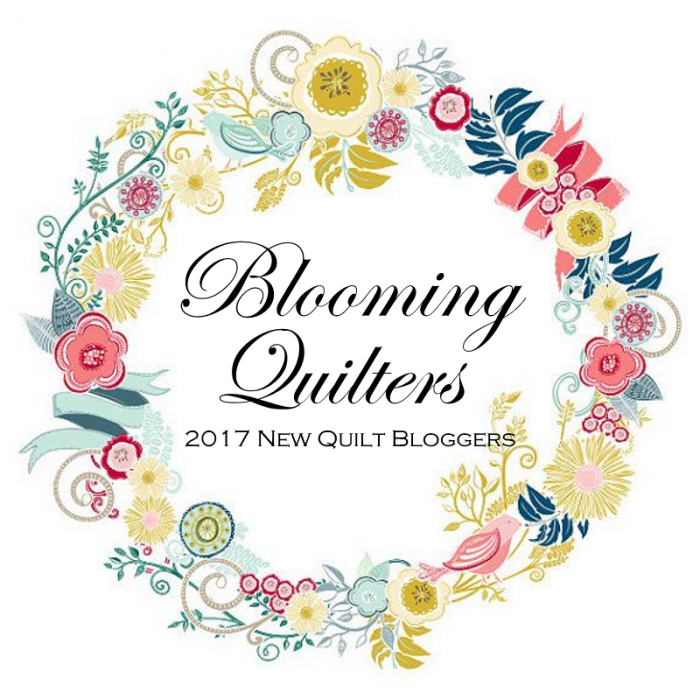 You'll find a link to their blogs and to the other Ambassadors participating in the blog hop at the bottom of this post. 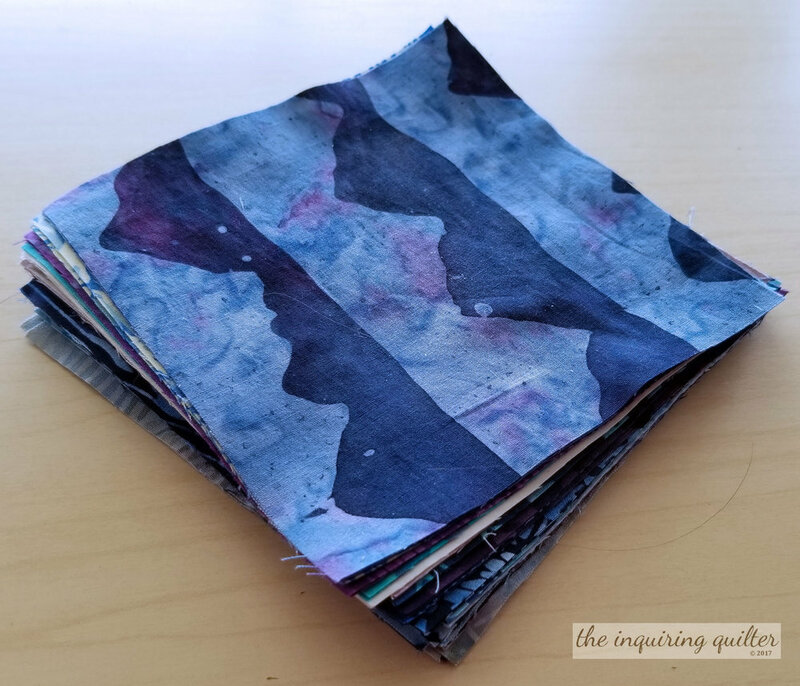 To celebrate the Island Batik Great Outdoors Blog Hop, I'm having a giveaway! Complete the Rafflecopter below after leaving a comment to enter to win a lovely charm pack from the Dear William collection by Island Batik (US residents only). 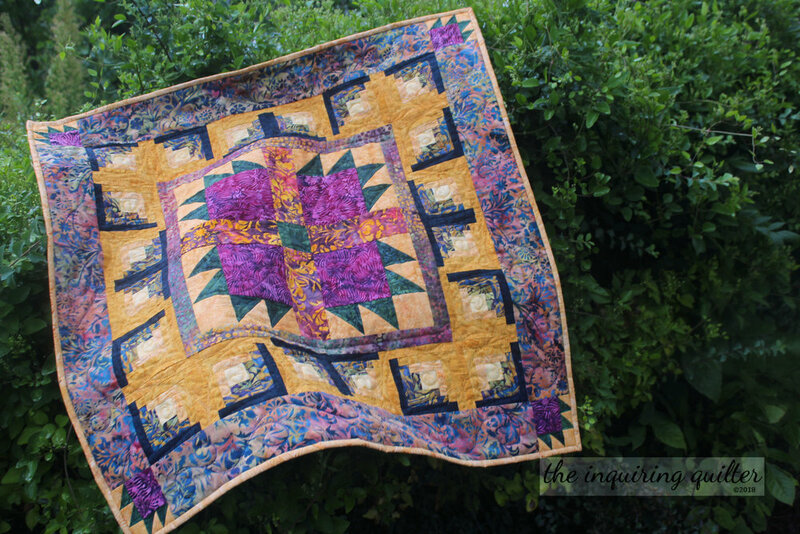 You can earn an extra chance to win by visiting my Inquiring Quilter Facebook page. If you like what you see, please Like my page and Follow Me. The giveaway is open through the blog hop, and closes on September 4th at midnight EST. I'll announce a winner on September 5th. For International residents, the prize will be one free PDF pattern from my shop. I'm sorry I can't afford the cost of shipping overseas, but I wanted everyone to have a chance to win something. Just leave a comment and complete the Rafflecopter below to enter. You too can earn an extra chance to win a pattern by visiting my Facebook page. 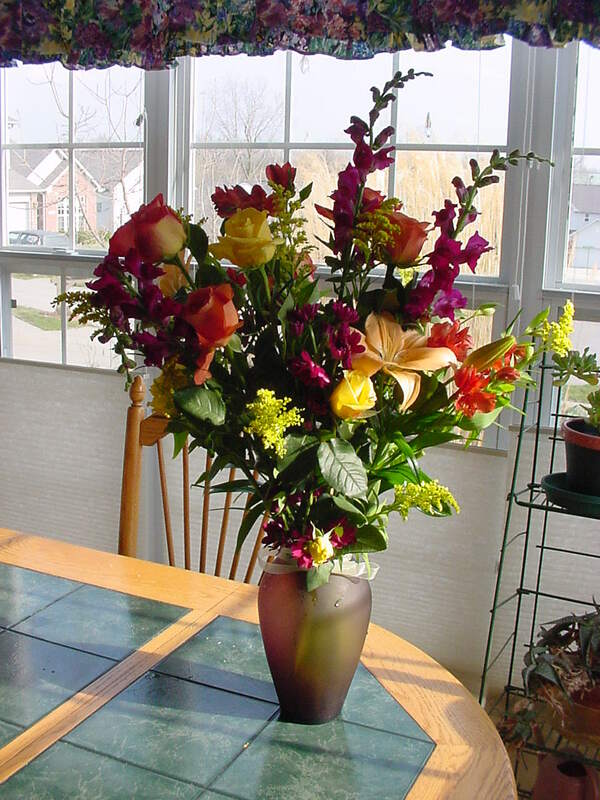 Congratulations Judy Biggerstaff! You won! 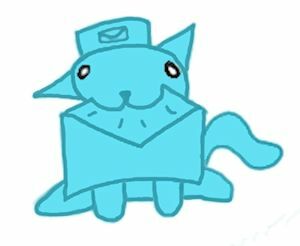 Send me your postal address and your charms will be on their way. Use the Rafflecopter below to enter the Island Batik giveaway! Up for grabs is a Jungle Cruise 2-1/2" strip pack. The blog hop continues through September 4th. Be sure to visit the other Island Batik Ambassadors each day and see even more beautiful Island Batik fabric collections! 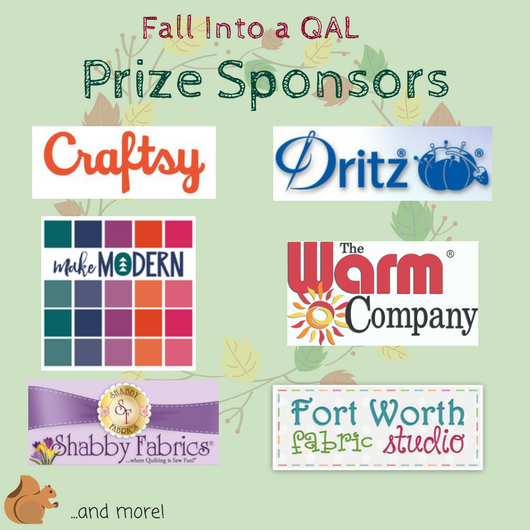 There are additional giveaways, free patterns, and tutorials so be sure to visit each stop on the hop. Follow me on social media to keep up with the blog hop and other happenings! You'll find the ways to follow at the top of my sidebar. Disclosure: The products featured in the post were provided to me free of charge by Island Batik, Aurifil, and Hobbs. I've been busy I must say. 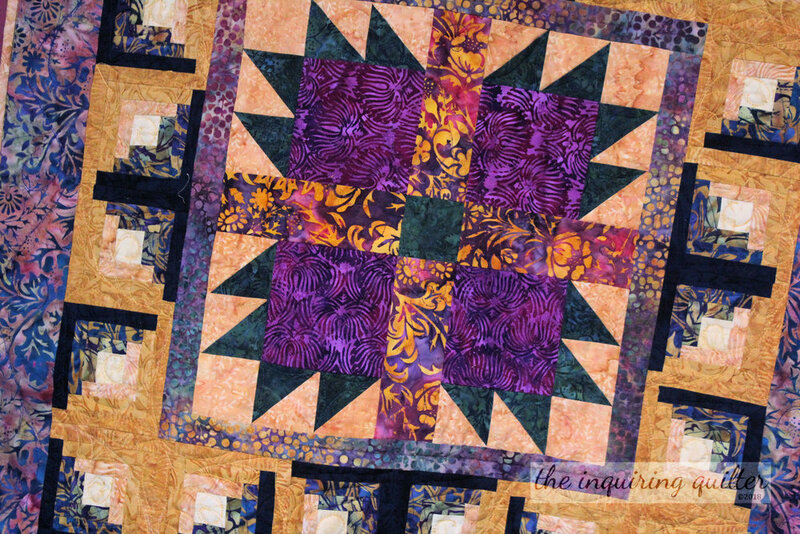 Yesterday, I released my block pattern for the Fall into a Quilt Along. The pattern is free for a limited time. Make the block to enter our giveaway! Click here for details. Tomorrow I'll be hosting a special Wednesday Wait Loss link up. (Yeah I know, it's on Thursday this week.) 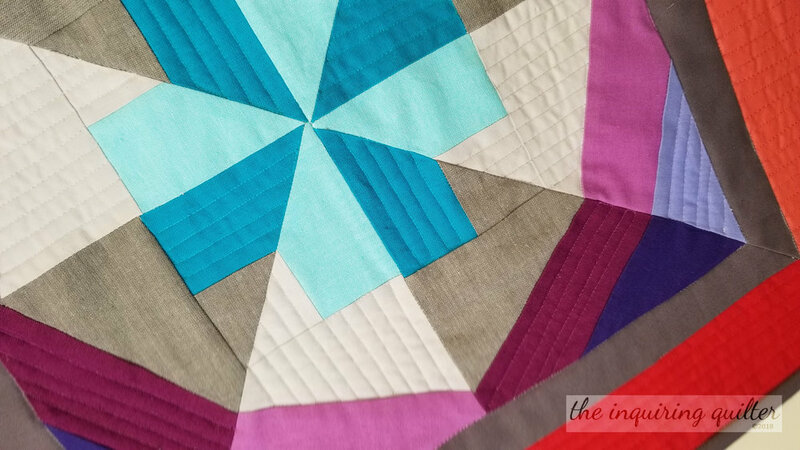 Drop by and share State Fair quilts (or quilts with animals, food, games, or anything else related to a state fair) for a chance to win that giveaway! Tell me...what's your favorite memory of the great outdoors? thanks everyone! be sure to leave an email address if you want to enter the giveaway! 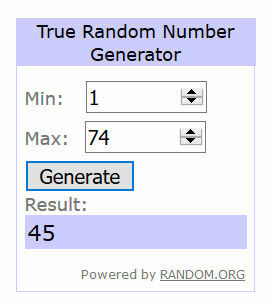 Island Batik Four Seasons Blog Hop Giveaway Winner! 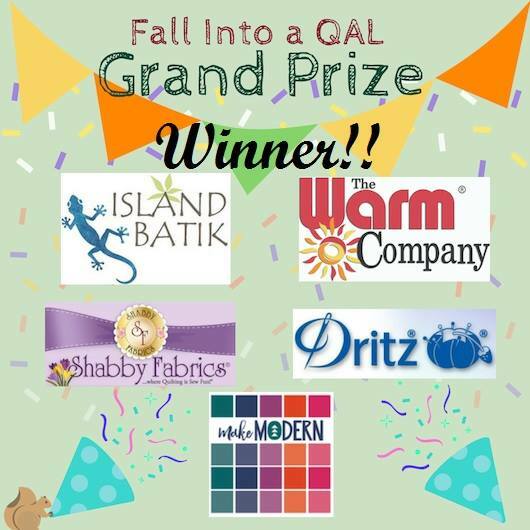 The Island Batik Four Seasons Blog Hop is over and it's time to announce my giveaway winner. I hope you enjoyed visiting all of my fellow Island Batik Ambassadors, and seeing the new batik collections. 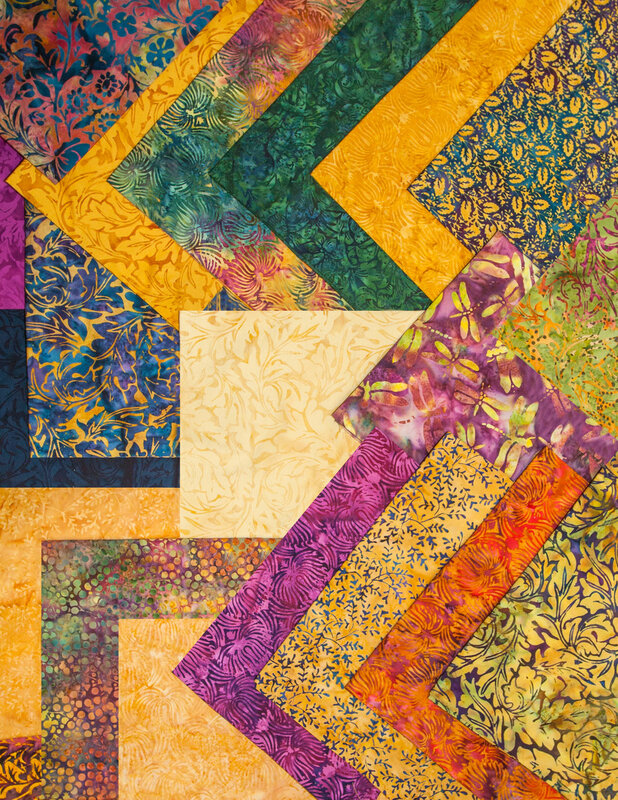 If you missed any of them, it's not too late to view the wonderful quilts and gorgeous batiks--just click the links below. 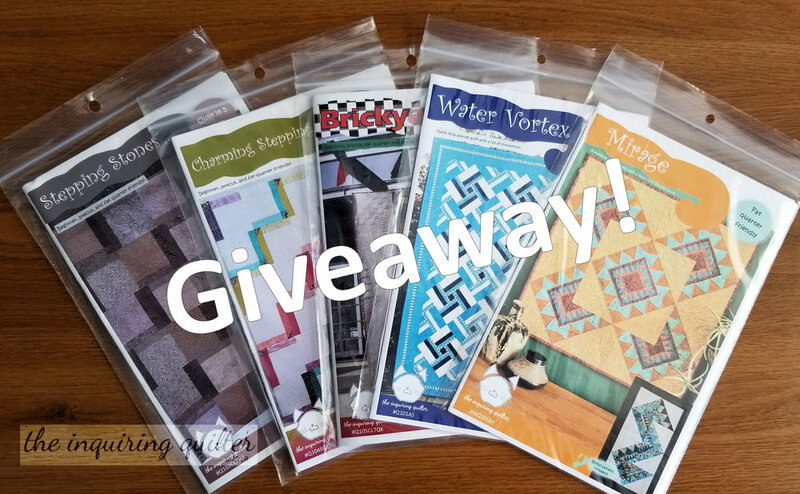 My collection was Blue Moon, and to celebrate the hop I decided to give away a charm pack to one lucky winner in the U.S.
To one lucky International follower, I'm going to give a free PDF pattern from my shop! Before I announce the winners, let me tell you quickly about the Island Batik events coming up this month. First, we'll be celebrating Galentine's Day, a day to celebrate your best gal friends and raise them up! To celebrate, the Island Batik Ambassadors will be making postcards or mug rugs, so watch for that post sometime on or before February 13th, which is Galentine's Day. 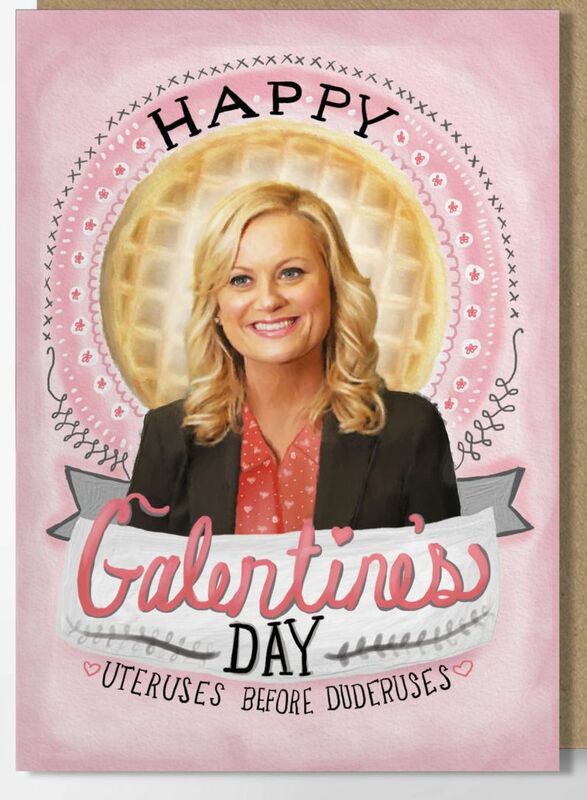 Galentine's is the invention of Leslie Knope, a character played by Amy Poehler in Parks and Recreation. The day went from fiction to fact when it was embraced by women around the world. I'm planning to focus my weekly Wait Loss Wednesday linky party on February 14th to sharing everyone's Galentine's Day and Valentine's Day creations (old or newly created), so I hope you'll join us. I hope you'll put your thinking caps on and whip up something if you don't already have something to share! Also in February, the Island Batik Ambassadors are celebrating Valentine's Day (of course) with a MiniLove creation so please watch for that post. Okay, it's time to announce the winners of that fabulous charm pack and the free pattern of choice from my shop! First I gathered all the US entrants, assigned a number to each one and let Random.org choose the winner. Congratulations Kit! Please email me your postal address and I'll get the charm pack out to you. And now for the winner of a free pattern! Like before, I gathered all the International entries in a pile, assigned a number to each one and let Random.org do the rest. 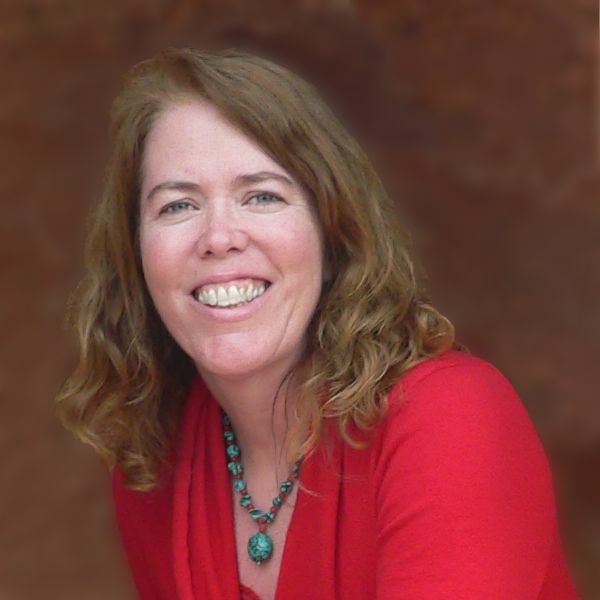 Congratulations Turid! Please send me an email with your pattern choice. You'll find my shop here. Thanks to everyone who participated in the hop! I have giveaways often so be sure to follow me if you want. You'll find the ways to follow at the top of my sidebar. Bye for now! Please think about creating something to link up to my Galentine's/Valentine's linkup on Wednesday, February 14th! Disclosure: The batiks featured in the giveaway were provided to me free of charge by Island Batik. 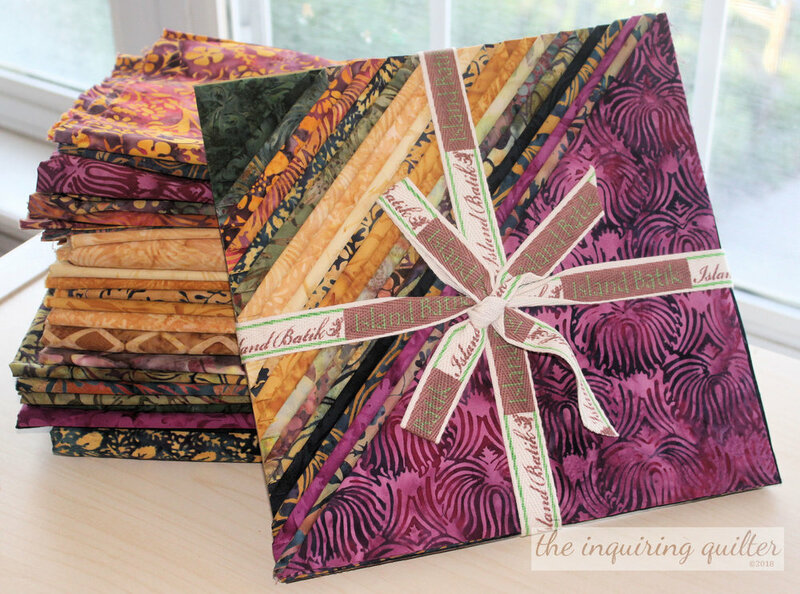 Tell me...if you participated in the island batik four seasons blog hop, what was your favorite batik collection?